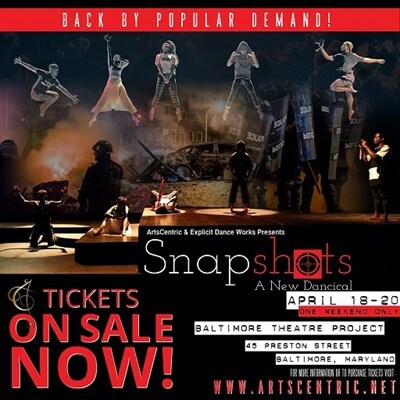 ArtsCentric presents 'Snapshots.' A story told entirely through dance follows the life of Damon, a kid obsessed with photography, and his tragic death at the hands of law enforcement. This senseless killing sparks a revolution in a community.